Before I get into the room reveal, I would like to introduce you to the occupants of this space. Meet Bennett and Grady (B and G) … the most adorable identical twin boys in the entire world. 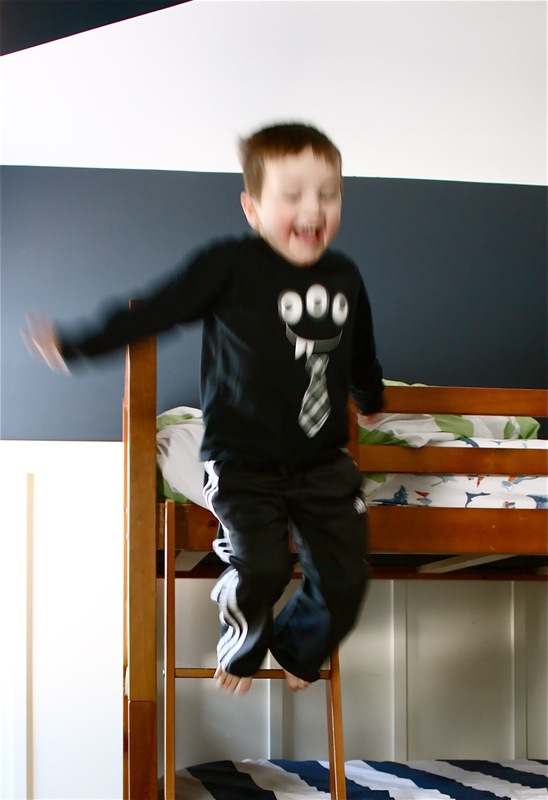 B and G are super excited about their new big boy room. Especially the new bunk beds, for obvious reasons. 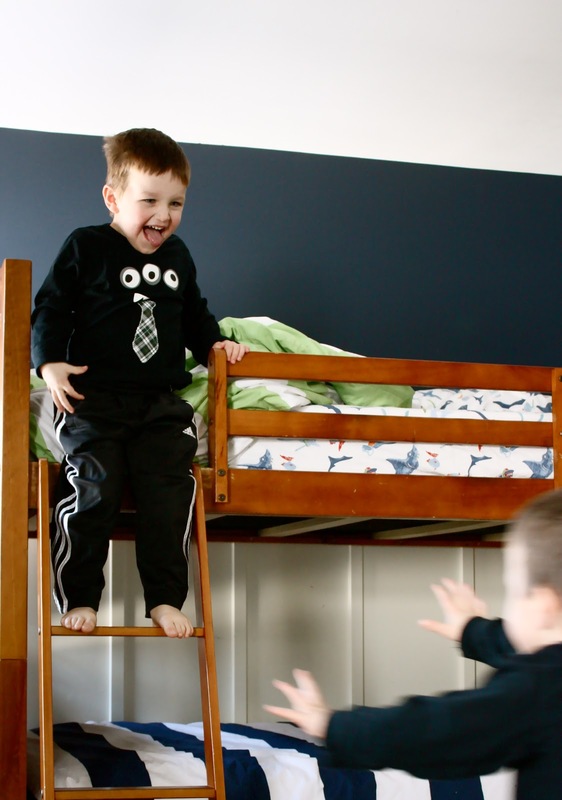 When the time came for the boys to graduate from toddler beds into big boy beds, their parents, Sarah and EJ, wanted to take the opportunity to redesign the room. 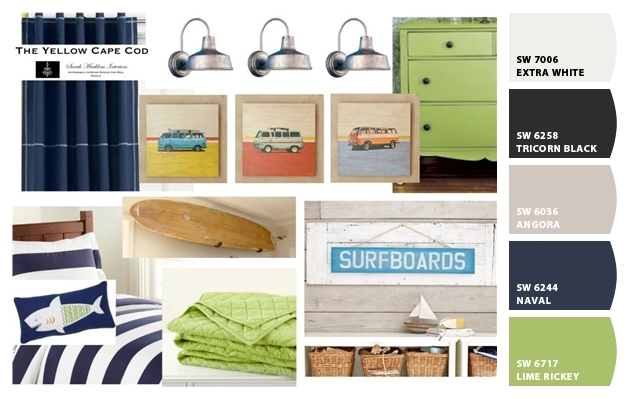 I had the honor of creating a design plan for B and G's new "Vintage Surfer Boy" bedroom. Sarah and EJ executed the plan, flawlessly. Actually during, these guys were so eager to get started, I didn't get a before shot in time! 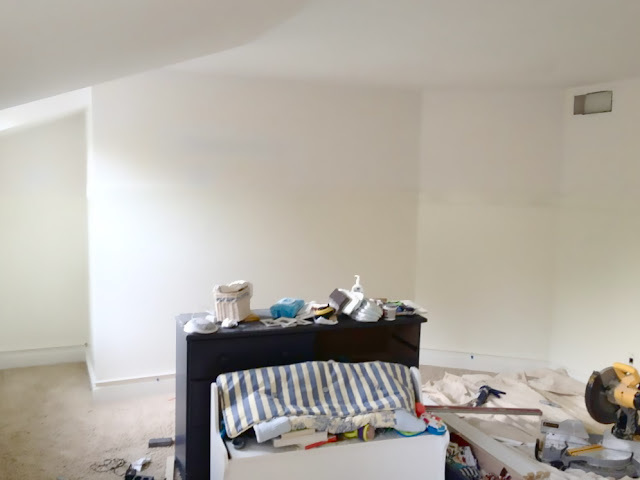 Many of the projects in this space were tackled DIY style by the homeowners. and an adroable DIY orange lamp with a jute trimmed shade. The bunk bed was a Craigslist find, it's almost identical to the Potterybarn bed shown in the inspiration board. The bedding (Potterybarn Kids) was our inspiration for the new room's color palette. Ocean inspired art from Homegoods, cool vintage finds, and the boys' everyday toys/books were used to accessorize the space. 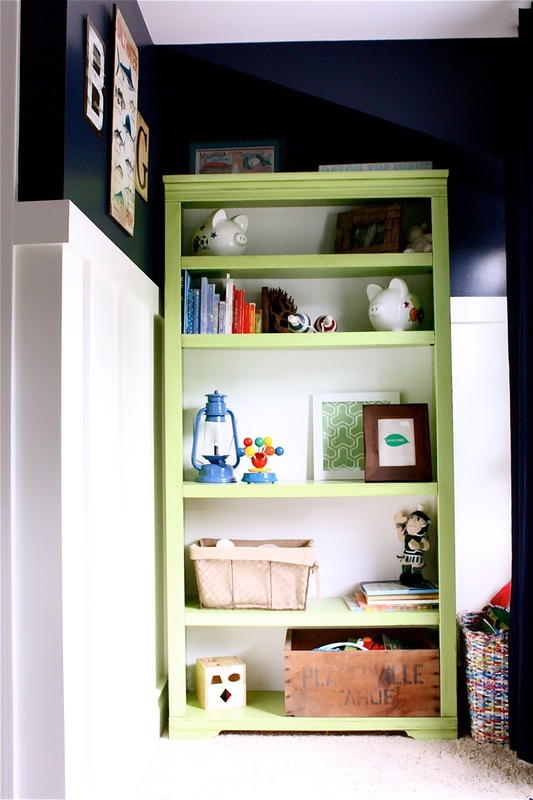 After the Craigslist Dresser Makeover, we decided a matching green bookcase was a must. Sarah found an oak bookcase at the Salvation Army and gave it the same paint treatment as the dresser. You can read all about the technique, here. A lot of blood, sweat, tears and love went in to creating this fun, vibrant, space for these two adorable boys. Thank you, Sarah and EJ, for giving me the opportunity to design this space and for letting me show off your amazing DIY skills! For information on my affordable online design service, please click here. For on-site design services (Detroit), please email TheYellowCapeCod@yahoo.com for pricing and availability. Love the lime green, navy, and white together! That sideboard just looks awesome! Would you be willing the share the source for the navy curtains? As always, your designs are just spot on.Really great room and inspiration for ideas~love it! I love all the colors, those navy blue walls are beautiful. The Navy walls so perfect for the boys..lucky boys!! Beautiful job. I have to ask, is the VW pic's cross-stitch? 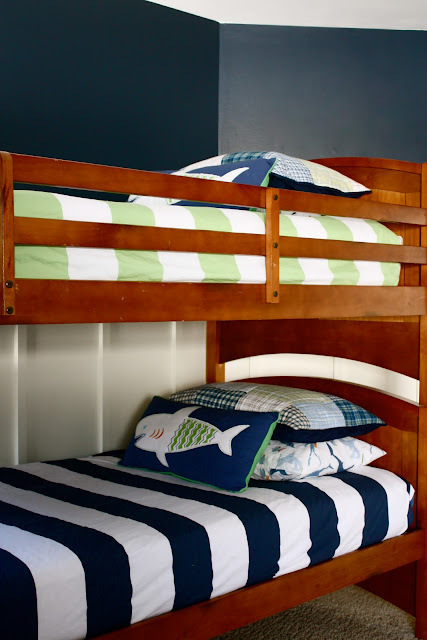 My boys room are also vintage surf & I would love to make those for them. Love the room, great job! Adorable room! We found that the bunk beds were hard to make and comforters bulky to tuck in. I cut and mitered the foot end like a fitted sheet. This made it much easier to keep the beds looking nice and neat. I am in love with this room! 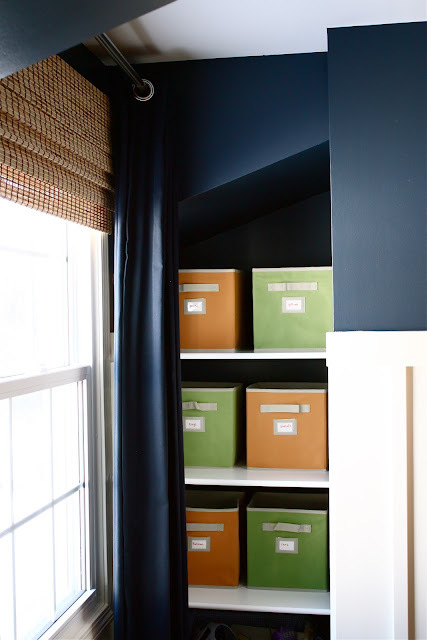 These are the same colors I am using in my boys' room makeover too. Their furniture might need the Lime Ricky treatment too! It's too perfect. Hope you don't mind - I'll definitely cite you as my inspiration. Love! Thanks so much for featuring my two vw van prints in your makeover! The room is adorable. This is so cute! I really love the vintage prints as well. Sarah - if you're ever doing a similar room and need surfboard art for wall decor, I custom make wooden decor boards - PB kids inspired. Cheers! Just perfect for two little boys. And so fun also! You have a talent. Would you mind sharing your source for those barn light wall sconces in your inspiration board? I've been looking for some just like it, but all the ones I've found are cheap looking. The finish is so nice on those you have pictured. WOW! Really great & liveable. 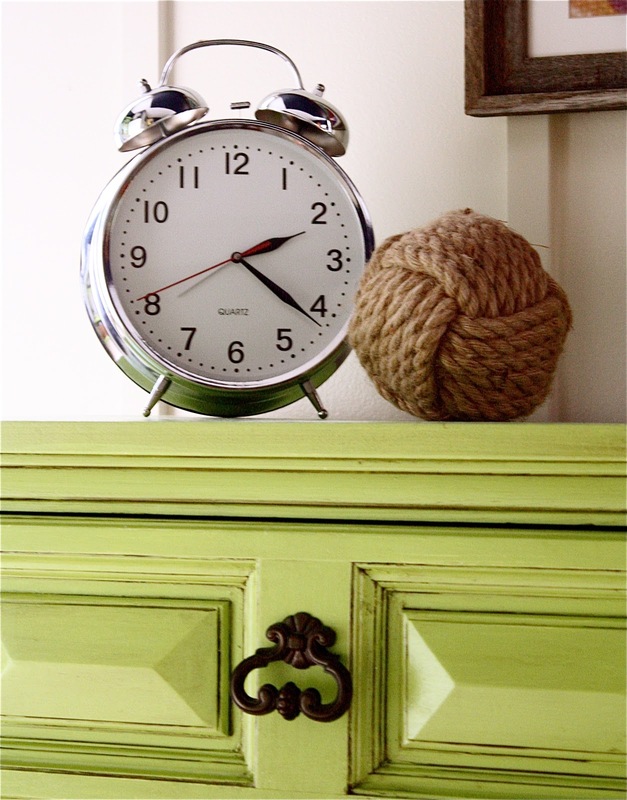 Love the dresser makeover. Inspired!